The Mount Comfort Methodist Church Shop and Crop went very well and was tons of fun!! I met so many new friends. I wanted to unveil the assembled make-n-take I brought to share. 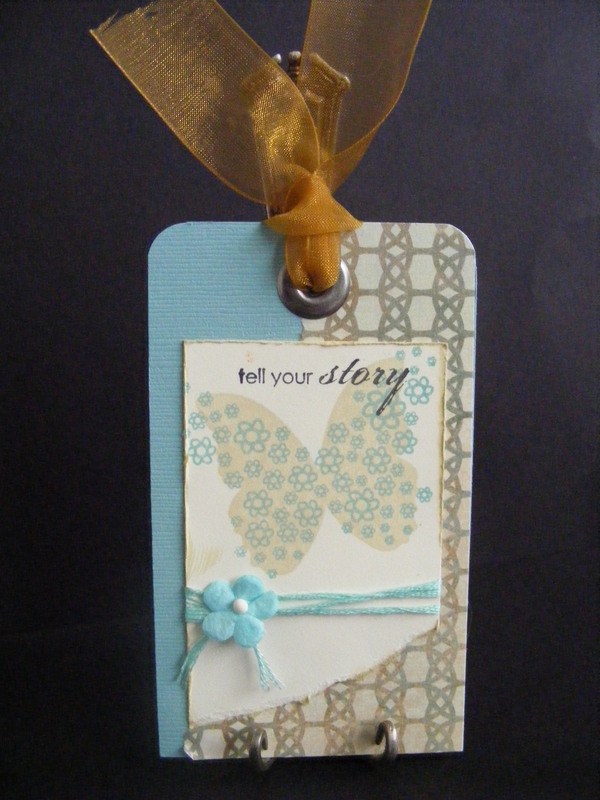 I visioned it as a lovely little bookmark, but several of my new friends gave plenty of other uses for it… such as a gift tag, a scrapbook page accent, or the top layer of a greeting card. There were several vendors there with make-n-take projects, but I ended up only having time to do 2 of them. 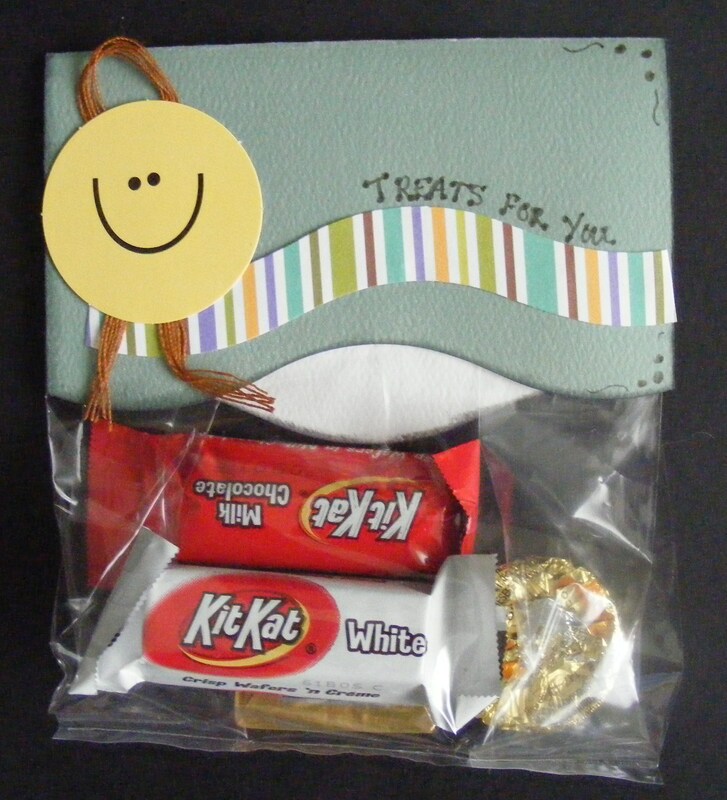 This cute little autumn treat bag was offered by Darcy Cooper, a Breezy Designsconsultant. I had not heard of them before this shop and crop. She had nice scrapbooking kits and paper crafting supplies and was a great gal to talk with. She had tons of great ideas. This next one was offered by a really nice gal named Beth Barnett who is a consultant for My Creative Life. This company was also new to me. They also offer really neat scrapbooking and paper crafting supplies. I really enjoyed myself. And, best of all, it was for a great cause. 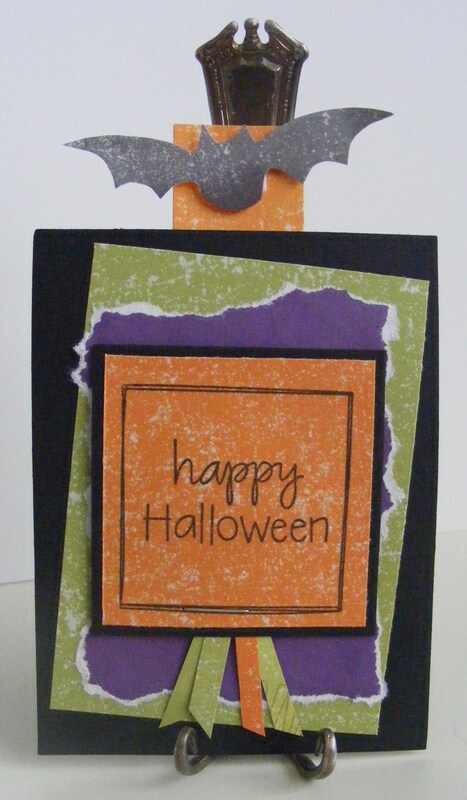 This entry was posted in Bookmarks, Events and Shows, Rubber Stamped Items and tagged Autumn, Bookmark, Fall, Halloween, The Angel Company, Treat Bag. Bookmark the permalink.